Linux / uBuntu related content. Ever wondered how you can access your Cisco router, switch, or other network device over console cable from your ESX host / other linux machine? 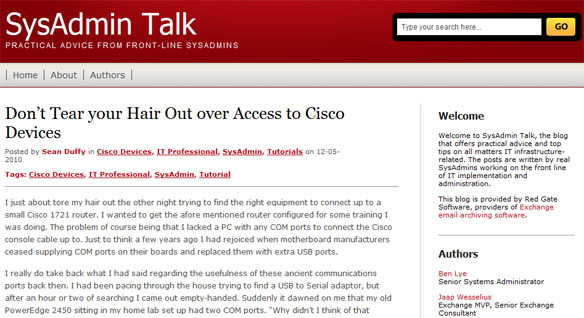 Obviously you’ll need a COM port on the physical hardware to start… Here’s a guide I wrote for SysAdmin-Talk. Have a read if you are interested in finding out how to achieve this. They have some other great articles and how-to’s posted up there. I have already found some extremely useful Exchange how-tos and guides and am looking forward to writing more for SysAdmin Talk! If you have jailbroken your iPhone and have SSH installed it is a very good idea to change your default root password. The default root password for the iPhone 3G is “alpine” many people know this and if you are not careful you could get someone gaining access to your phone over your service providers’ data network or over a local wifi connection. Once SSH is installed and active login to your phone using PuTTY. Download PuTTy here. Once you get a command line, type in the command “passwd” and press enter. Enter your existing password of alpine, then specify your new root password. Be sure to keep this safe and secure! I found that after changing the root password on my phone I needed to restart it – close putty, then restart your iPhone. My installation of uBuntu 8.04 desktop edition was getting quite dirty and tired so today I decided to do a clean install of 9.04 server edition (Jaunty Jackalope). So far so good – just got the terminal now and I can add features I need as I go along. I will update the post or blog on any cool new features I find. In order to be able to SSH into your ESX host server via putty you need to enable root access via SSH. By default this is disabled – we will modify a configuration file and restart the service to allow ourselves into the ESX host console remotely. From the console (you will need to physically be at the machine, or at least via a DRAC or KVM over IP), press Alt-F1 to access the command line and login as root. Press Ctrl-X to exit and press the “Y” key, hitting Enter to commit the choice to save. You will now be able to SSH in as root. Please drop me a comment if this has helped in any way! Here’s a quick how-to I did on setting up syslog to remotely monitor a VMWare ESX Host. You’ll obviously require an operational syslog server – I use Kiwi syslog – a freeware syslog daemon for this purpose. The following should be configured on any new ESX Hosts that are installed. It will allow SYSLOG to be uploaded to a remote SYSLOG server such as Kiwi Syslog. Login to the ESX host via Putty as root, or alternatively do this from the ESX server console. (PS if you are logging into a new ESX Host, you will need to have allowed root access to the ESX server via SSH – I will do a how-to for this soon too). (Where x.x.x.x is the IP address or hostname of your syslog daemon server). Press Ctrl-X to exit, and press “Y” to save changes, then Enter to commit your choice. If you want to spoof a message to the syslog server to test that the ESX host is actually doing any of the logging, use the following command. Go and check the Syslog log file on your syslog server and you should see the log that has come through. 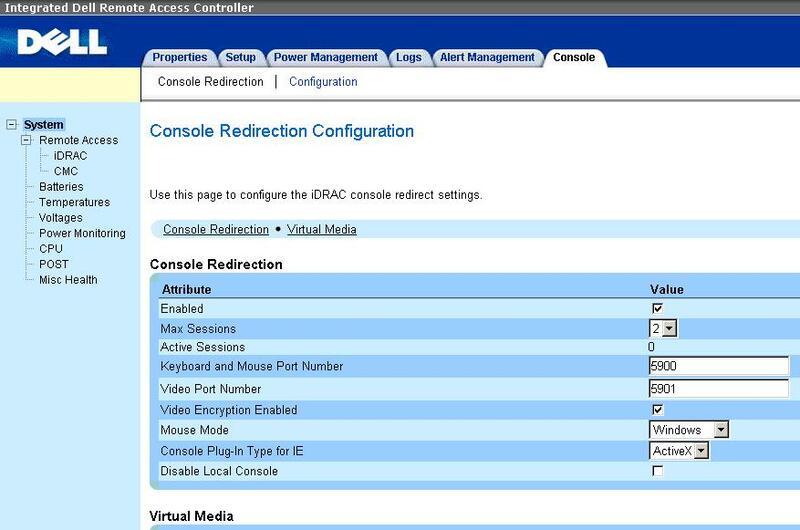 Here is a how-to on installing VMWare ESX 3.5 using a DRAC (Dell Remote Access Controller) card to access the server. I was installing a new cluster in a Dell M1000e Blade Centre for work the other day and wrote up this process in order for it to be documented for anyone else doing it in the future. 16 x Dell M600 Blades (Each one has 2 x Quad core Xeon CPUs and 32GB RAM). 1. Connect to the M1000e’s chassis DRAC card. a.	Connect to M1000e chassis DRAC card. (//x.x.x.x) – use the IP for that particular blade centre’s DRAC card. Login with DRAC credentials. b. 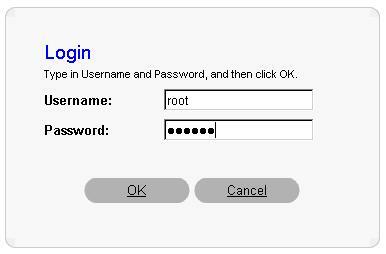 Use the agreed DRAC user credentials, or if this is a new setup, the defaults are username: root password: calvin). a. Choose the Blade server number that you will be working with from the Servers list on the left side. b.	Click on the Setup tab, and choose Virtual CD/DVD as the first boot device then click Apply. c.	Select the Power Management tab and choose Power on, then click Apply. a.	Click on Launch iDRAC GUI to access the iDRAC for the blade you have just powered on. b. You will need to login again as this is another DRAC we are connecting to (This time the DRAC is for the actual blade server not the chassis). a.	Click on the Console tab near the top of the screen and then click the Configuration button near the top. b. In the mouse mode drop down, select Linux as the mouse type, then click Apply. a. From the console tab we can now select the Launch Viewer button. b. An activeX popup might appear – allow it access and the DRAC console should now appear with the server in its boot process. a.	Click on Media, and then select Virtual Media Wizard. b. Select ISO image and then browse to the ISO for ESX 3.5 – this could be on your local drive or a network share. c.	Click the connect CD/DVD button to mount the ISO. d.	Your boot order should be configured correctly to boot off this ISO now. (*Optional* You could always press F11 whilst the server is booting to choose the boot device anyway). a. Go to Keyboard – Macros – Alt-Ctrl-Del to do this. 8. 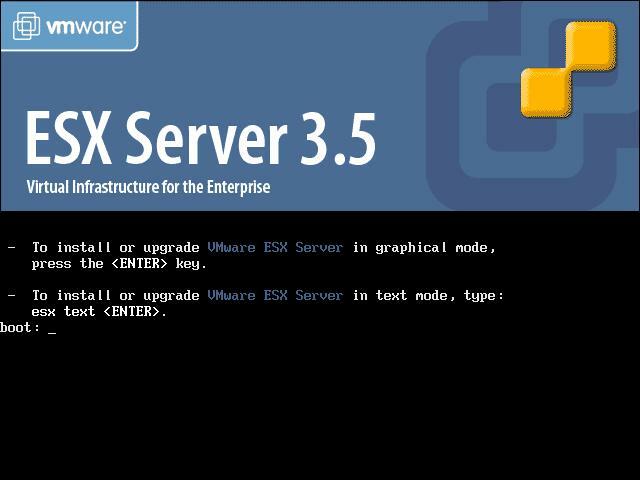 ESX install should now start. b. Select Test to test the media (The ISO should generally be fine). c.	Select OK to start the install. d.	Choose United Kingdom Keyboard layout (or whatever Keyboard layout you use). e.	Leave the mouse on generic 3 button USB. f.	Accept the license terms. a. For partition options, leave on “Recommended”. 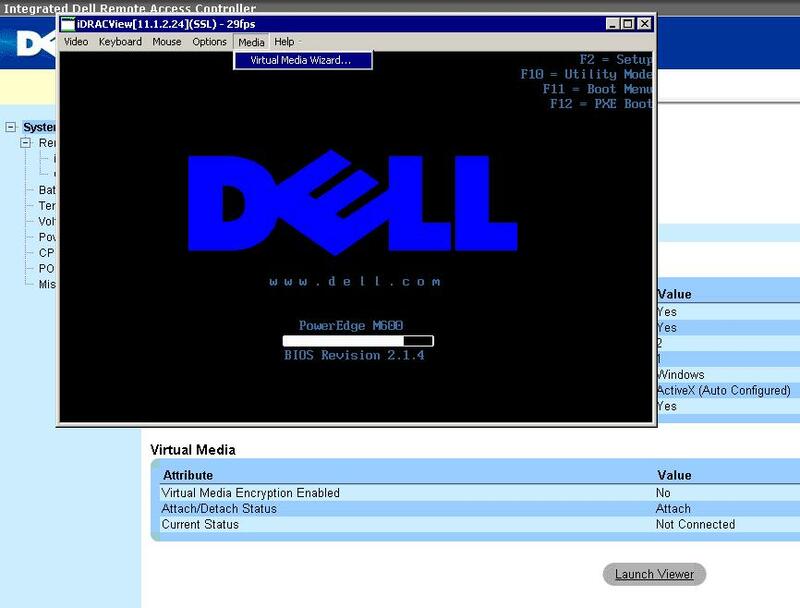 It should now show the Dell virtual disk of 69GB (in this case) or the Dell RAID virtual disk / disk configuration. b. Say “Yes” to removing all existing partitions on the disk. (That is if you don’t mind formatting and completely clearing out any existing data that may be on this disk). d.	Note: It doesn’t matter if these sizes are 2-3MB out for some. The installer deviates these sizes slightly. The swap partition should have 1600MB minimum though. e.	Next page is Advanced Options – Leave as is (Book from SCSI drive). b.	IP address (x.x.x.x) – whatever IP you are assigning this particular ESX Host. c.	Subnet mask: 255.255.255.0 for example. h.	VLAN ID – Leave this blank if you are not using VLANs. If you are, then specify the VLAN here. i. Create a default network for virtual machines – Unless you have a specific network configuration in mind leave this ticked on. a. Set Location to your location. b. System clock uses UTC is left as ticked. a. Set default root password . (This is your admin password)! b. Check the information is all correct and click Next if all looks fine. 14. 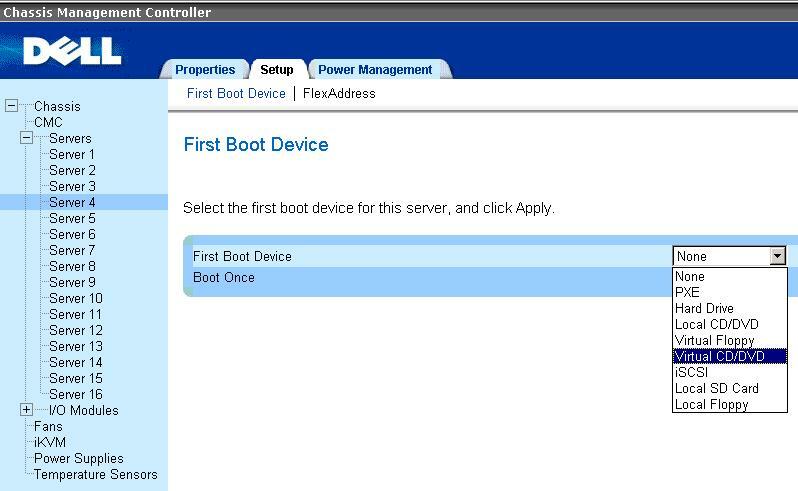 Change boot order back and restart the blade server. a. Via the iDRAC page, change the boot order back to Hard disk for the blade so that it will reboot using the server’s RAID hard disks instead of the ISO. b.	Reboot the host by pressing the Finish button back in the console. c.	Disconnect the Virtual CD from the Media option in the console menu. d.	Watch the console while the server reboots to ensure no errors are reported on startup. If all went well, you should now have an ESX Host booted to the console. Press Alt-F1 to access the command line (you will need to login as root or any other user you setup). You can now access your server via the web browser (//x.x.x.x). 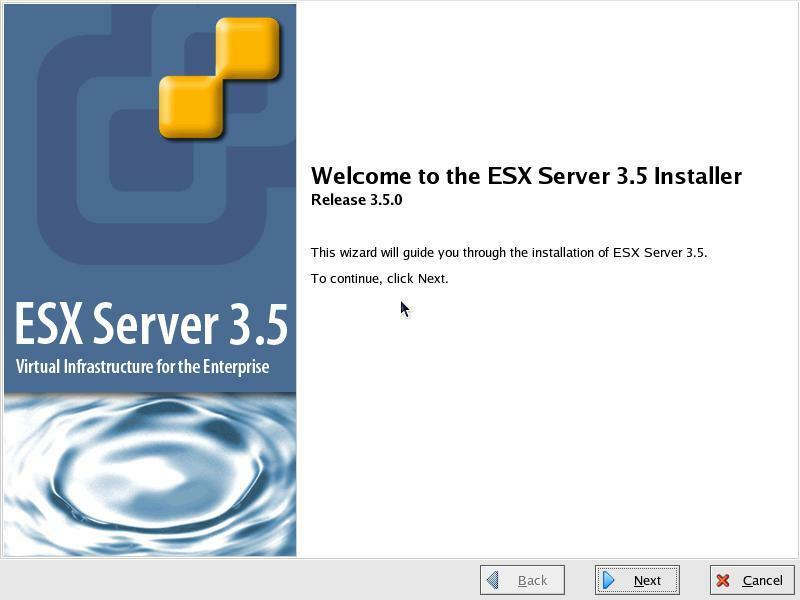 From here you can download the Virtual Infrastructure client to manage the ESX Host with. 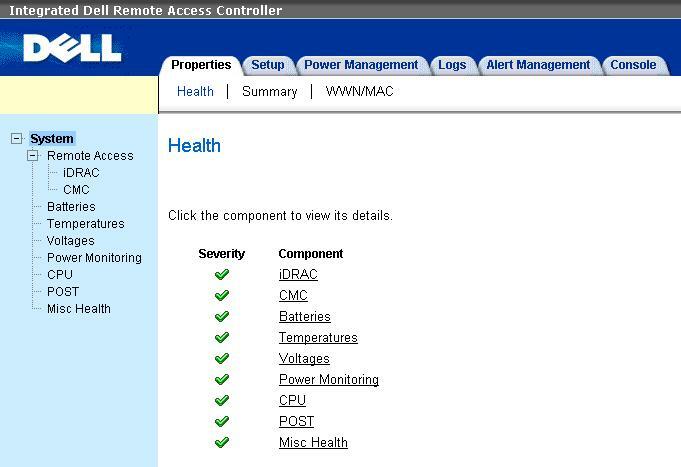 This host could now be further configured and added to an ESX cluster for example. SANs could be assigned and vMotion setup so that HA (High Availability) and DRS (Distributed Resource Scheduling) can be put to good use!